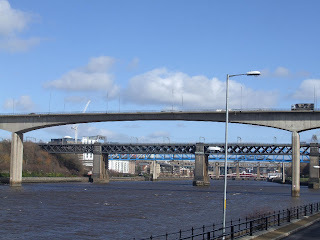 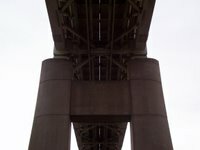 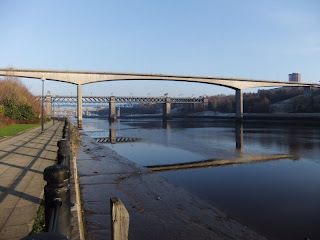 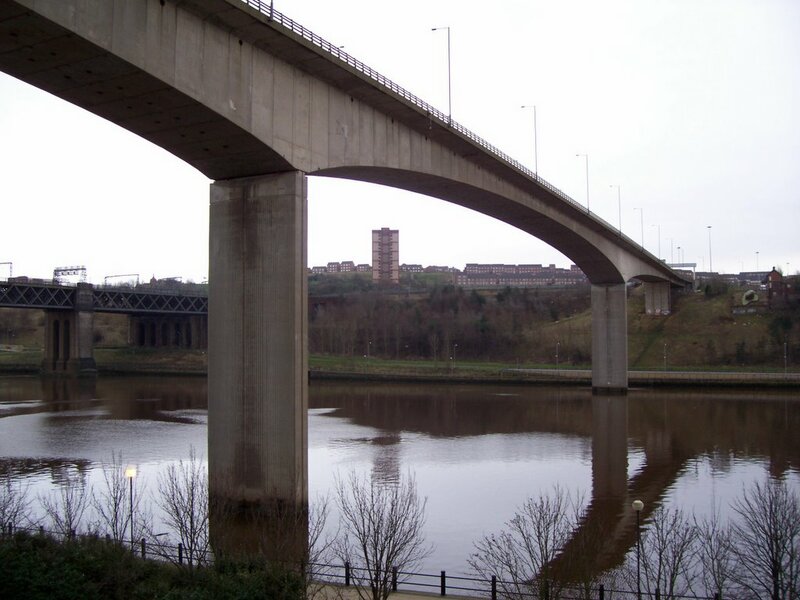 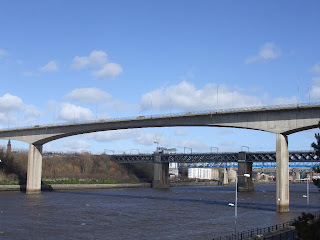 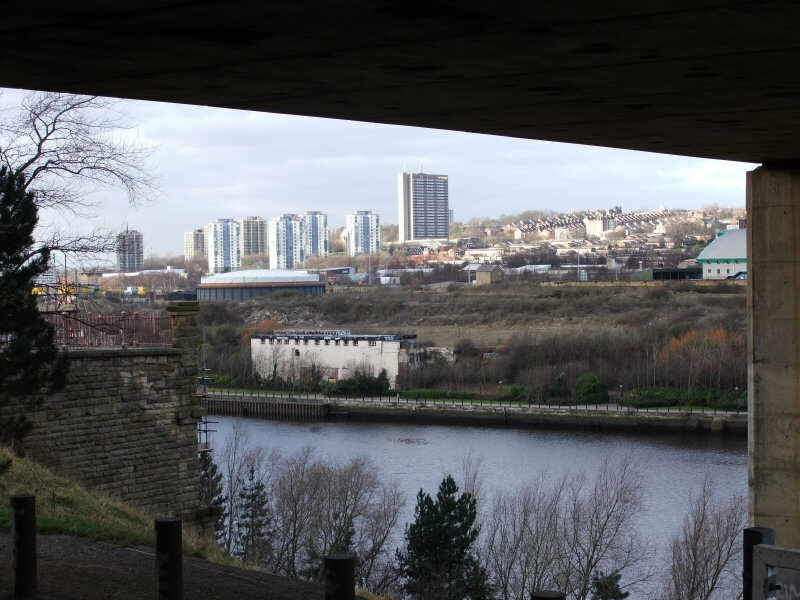 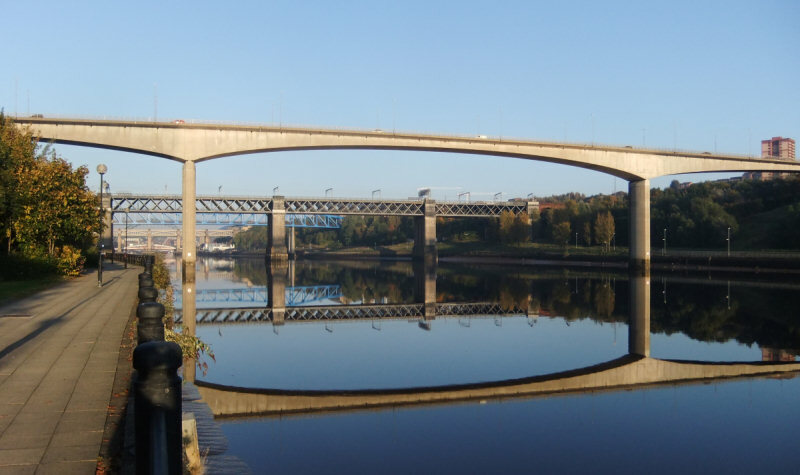 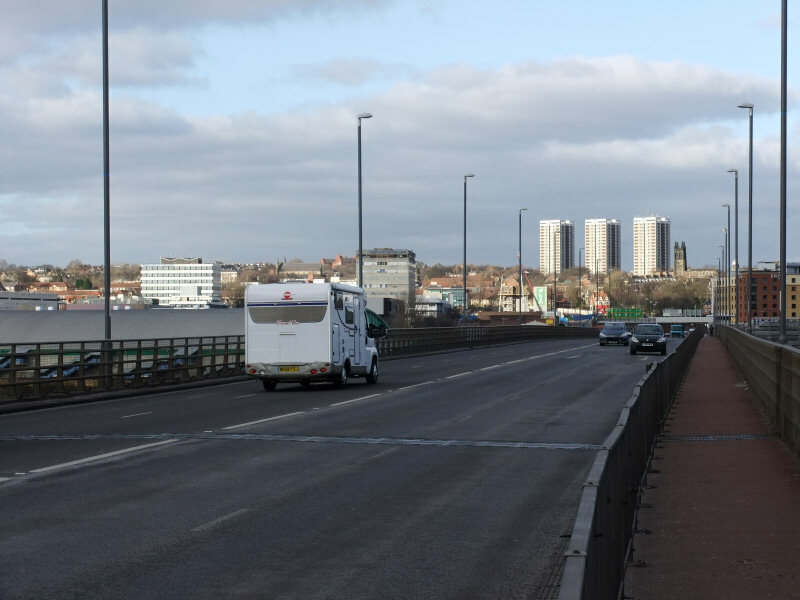 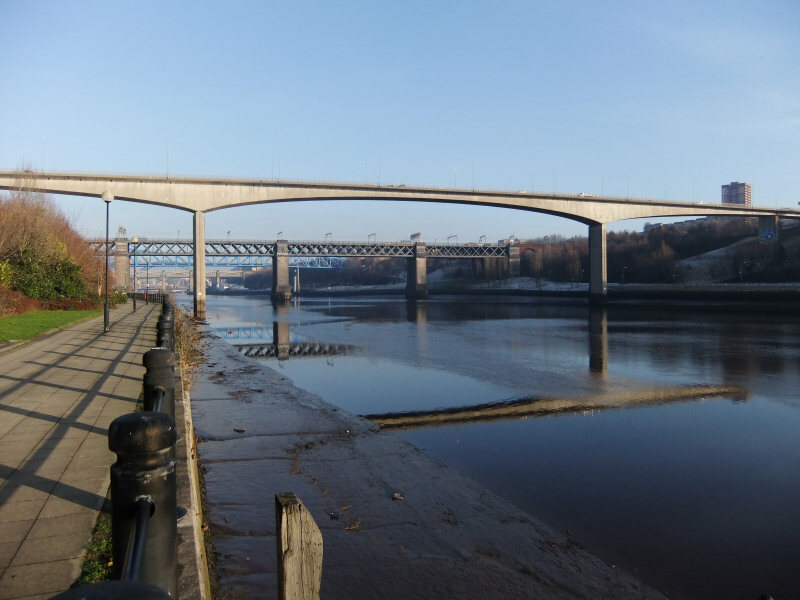 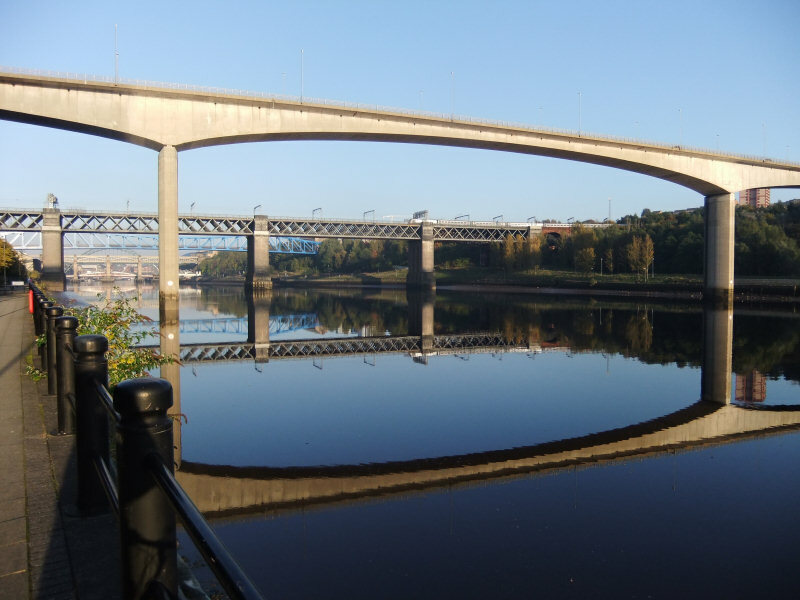 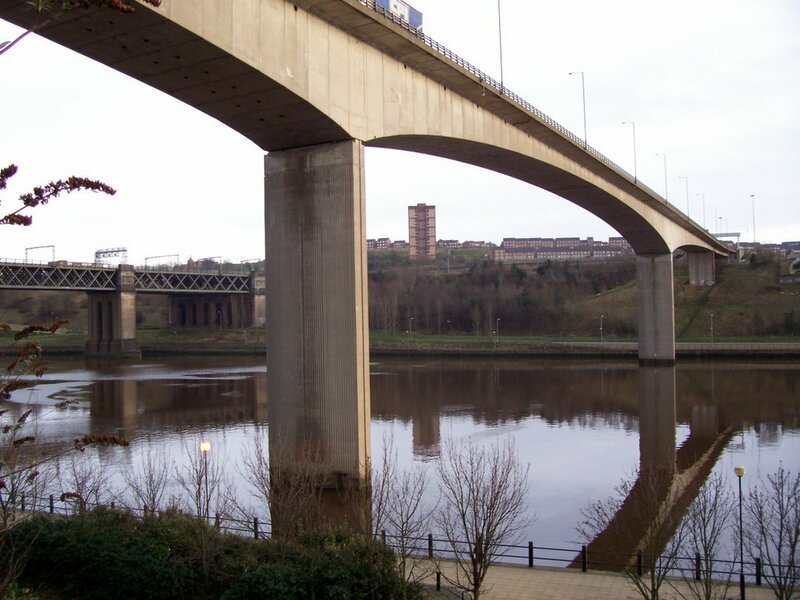 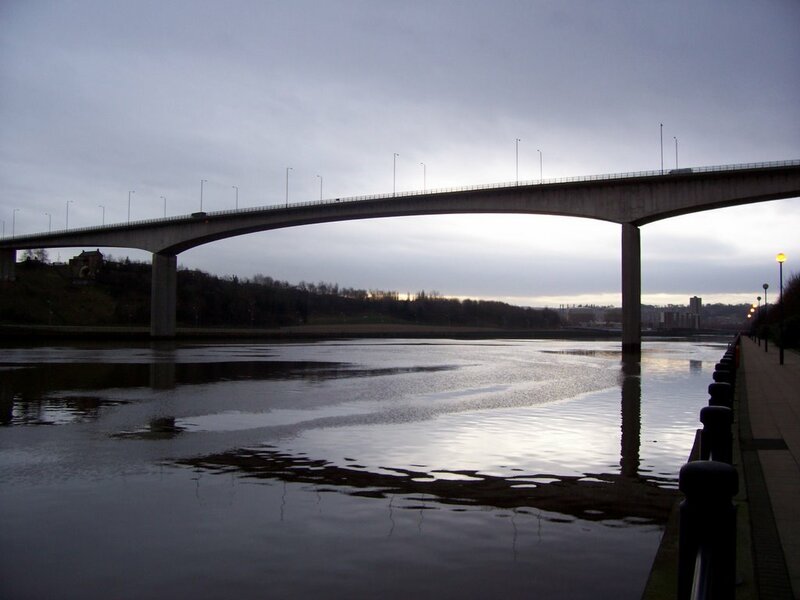 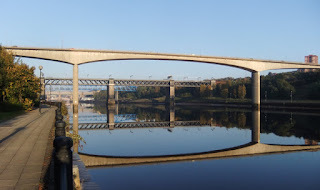 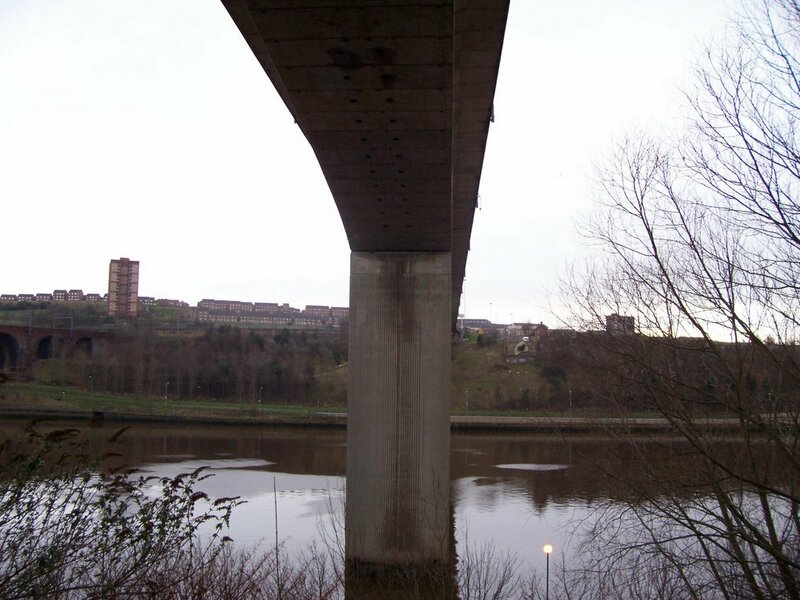 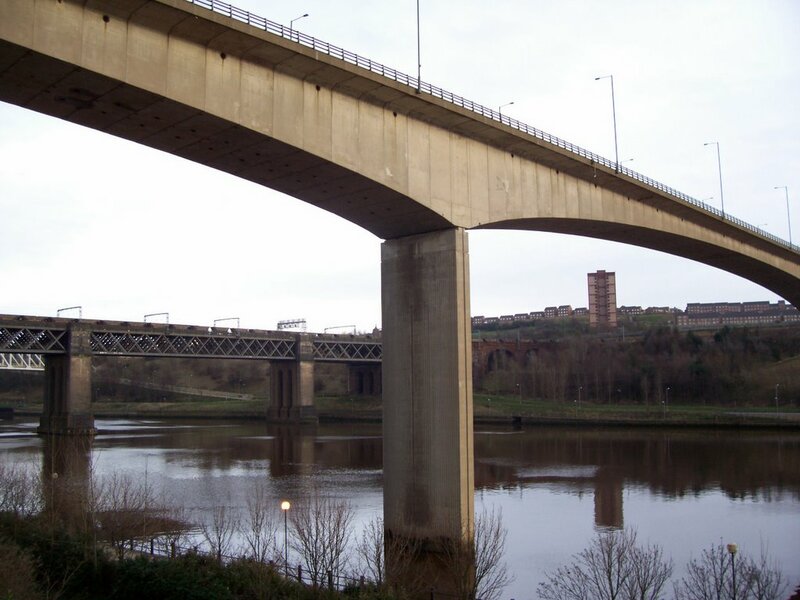 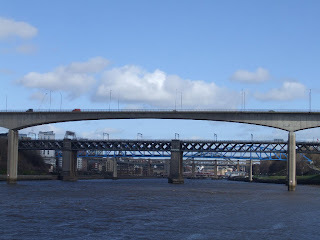 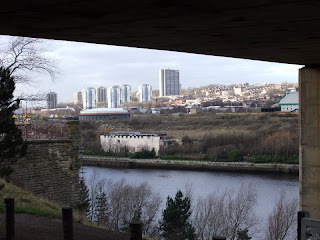 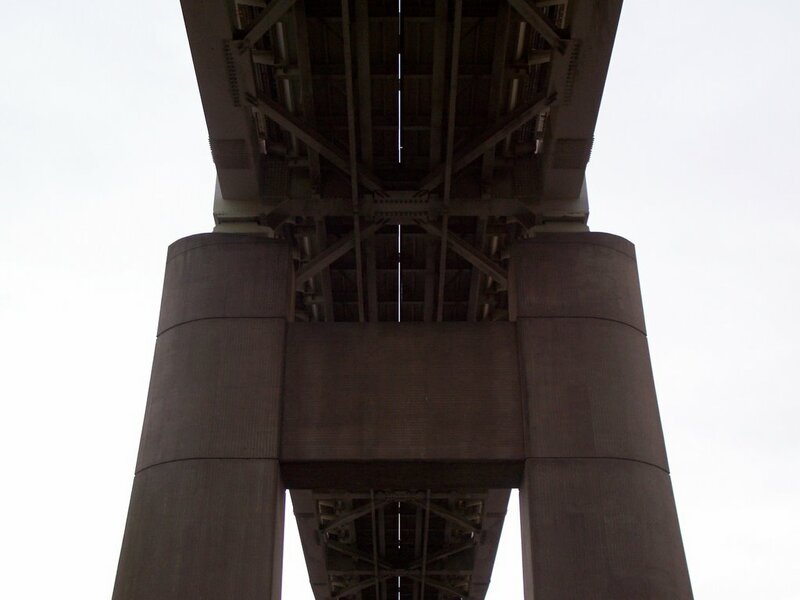 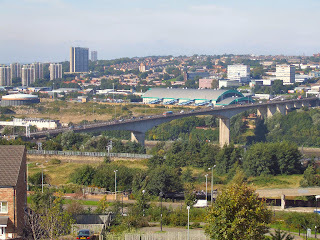 The Redheugh Bridge is a pre-stressed concrete structure with a central span of 160 m (520 ft) and two side spans of 100 m (330 ft) each (including the approaches, it is a total of 897 m (2,943 ft) long and 15.8 m (52 ft) wide). 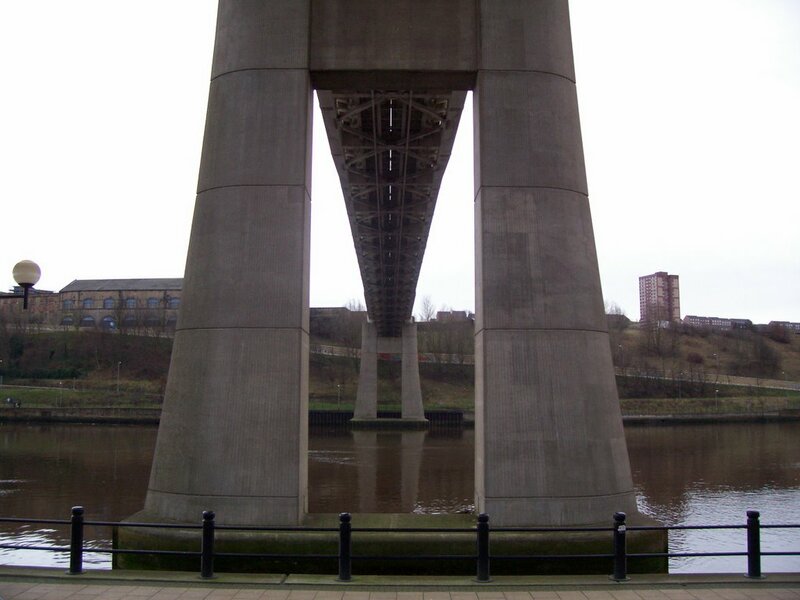 It can carry abnormal loads of up to 400 tonnes, and has a life expectancy of 120 years. 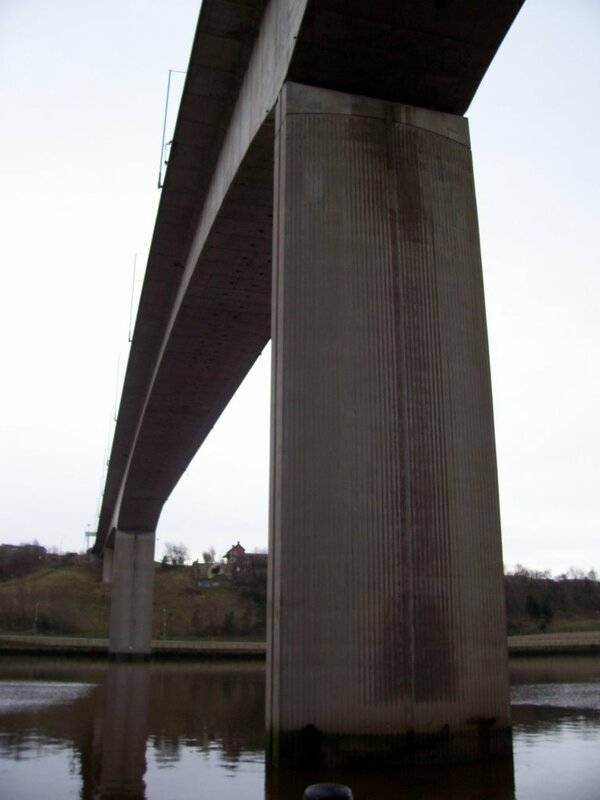 It was constructed by Edmund Nuttall Ltd to a design by Mott, Hay and Anderson's young engineer, Alan Yiu Lun Wan. 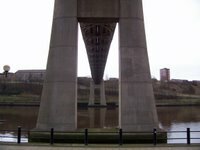 The two supporting concrete piers were fluted to create an impression of lightness and were designed to withstand the impact from a vessel of ten thousand tonnes travelling at a speed of five knots, although this is highly unlikely as large ships rarely come this far up the Tyne and the shipping lane has now effectively been blocked by the Gateshead Millennium Bridge. 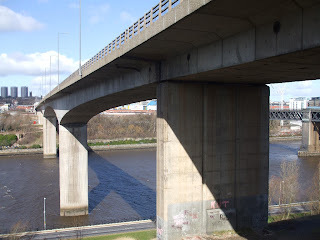 Due to the exposed location, strong winds can cause problems for high-sided vehicles. 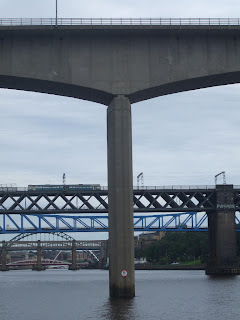 Early in the bridge's life, a double-decker bus was nearly blown over the side. The bridge was opened on 18 May 1983 by the Princess of Wales. 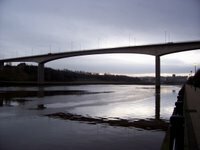 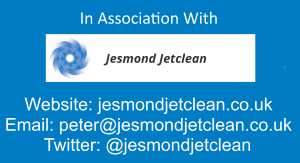 The total cost amounted to £15,350,000.